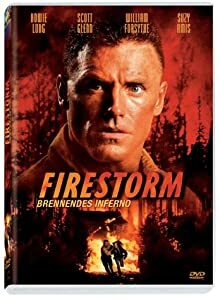 Without a word of a lie, Firestorm is one of the most dunderheaded films we’ve ever encountered (and we’ve endured four films made by Steven Seagal in the 2000s!). Howie Long is a firefighter, battling blazes in Wyoming. Long was a long-time Raider football player and is one of the greatest defensive linemen of all time – as an actor? Not so much. 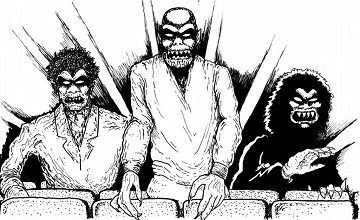 This piece of crap was initially set up to star Sylvester Stallone but the production company went belly up and the budget was given a slash ‘n’ burn. So they got Howie instead. And what is Scott Glenn doing in this??? He’s a legend, who should’ve known better. He plays a grizzled firefighting captain and has a mobile home land on him! (and escapes unscathed for the most part). A bunch of inmates out on a work program are on firefighting detail. They break free and jet off into the wilderness. One among their ranks (William Forsythe) has a bunch of money stashed away and they exacerbate the blaze to avoid being captured. And there’s only one lunk-head who can stop them.